In order to become a user of any Dynamic Web Solutions Pty Ltd services, you must agree to the following terms and conditions. Your agreement to these terms will be indicated to us by your sending to us an application, your sending to us a duly completed confirmation (if requested), your acceptance of any quotes prepared for you by Dynamic Web Solutions Pty Ltd or your use of any Dynamic Web Solutions Pty Ltd services, whichever occurs first. The following terms of business apply to any or all of the domain name registration, Web site hosting, email, spam and virus protection, Search Engine Optimisation and Secure Web Page services to be provided by Dynamic Web Solutions Pty Ltd to you from time to time (Services and individually Service). Server means the computer server equipment operated by us in connection with the provision of the Services. Web Site means the area on the Server allocated by Dynamic Web Solutions Pty Ltd to you for use by you as a site on the Internet. Secure Web Page means the Web page operated and located on the Server which allows you to collect credit card details in a means that is difficult for other people to view the page when it is loaded, because the page is encrypted, Search Engine Optimisation means any service which is designed to assist your Web Site gain a higher listing in the Search Engine results. Both the registration of the domain name and its ongoing use are subject to the relevant naming authority’s terms and conditions of use and you are responsible for ensuring that you are aware of those terms and conditions and can and do comply with them. You irrevocably waive any claims you may have against us in respect of the decision of a naming authority to refuse to register a domain name and, without limitation agree that the administration charge paid by you to us shall be non-refundable in any event. Domain name registration renewal fees will be invoiced at the end of the month that your domain name was renewed in. This invoice must be paid within fifteen (15) days or you will be charged an $25.00 late payment fee. The interest rate on any outstanding debts is a fixed rate of 15% per annum. You are responsible for sending mail in accordance with any relevant legislation, including but not limited to the Commonwealth Spam Act (2003) and for sending the same in a secure manner. We will take all reasonable steps to ensure accurate and prompt routing of messages but we will not accept any liability for non-receipt or misrouting or any other failure of email. In the event of deliberate transmission of unsolicited commercial email (UCE), Dynamic Web Solutions Pty Ltd reserves its right to terminate services without prior notification. If applicable, you agree to accept additional charges for the transit of IP traffic above and beyond the amount specified in the Service. All excess data will be charged at the rate of 5.5c/MB to the nearest whole MB. These charges will fall due at the completion of the calendar month on normal trading terms of fifteen (15) days from invoice. Dynamic Web Solutions Pty Ltd will provide an online interface allowing authorised users to monitor website data traffic. You are responsible to keep a copy of any existing Web Site which we may replace pursuant to the provision of web design services including all databases and hosted files. Dynamic Web Solutions Pty Ltd can provide an archival solution for the existing website at our standard commercial rates. We are not responsible for the contents of any Web Site we design for you, and upon publication you must satisfy yourselves that the Web Site will comply with all applicable laws, and codes of practice governing the use of Web Sites and related services. 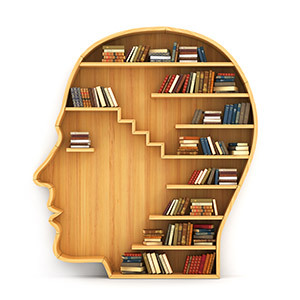 This includes the intellectual property and copyright ownership of all material that you have provided to us. Dynamic Web Solutions Pty Ltd is similarly not responsible for your subsequent use of the site and your compliance of various commonwealth and state legislations. All website content (logo, photos, text) must be provided by you within six(6) calendar months of paying your deposit. If your data is not supplied within six(6) months, Dynamic Web Solutions Pty Ltd reserves the right to place your project on administrative hold. If no content is supplied within six(6) months of invoice, the project will be cancelled with no refund of the deposit. Dynamic Web Solutions Pty Ltd requires a 50% upfront payment before the commencement of any project. This 50% upfront payment is entirely non-refundable. Any project cancellations will incur the relevant cancellation fee with no refunds available. You must provide complete feedback within seven(7) calendar days during design concept and production review. If no feedback is provided within this time, Dynamic Web Solutions Pty Ltd reserves the right to move forward with the project, assuming no changes have been requested and that work is accepted in its current form. Any changes requested past this time are subject to our standard rates of $75 per hour or part thereof. You may request an Administrative Hold of your project for up to six(6) months at a cost of $250. We will stop working on the project until you advise us that you are ready to move forward. Dynamic Web Solutions Pty Ltd will resume working on the project when all current projects are completed. If you exceed six(6) months of the project being held, we will terminate the project and all monies paid by you to us will be forfeited, with no refunds available. If you are unhappy with your site design, and communicate this with seven(7) days to webmaster@dynamicwebs.com.au. After seven(7) days you may request additional layout concepts at a cost of $350 per layout, with full payment required upfront. Once your website has been published, Dynamic Web Solutions Pty Ltd will review and repair any pre-existing code errors and/or bugs in the website if reported within thirty(30) days of publishing. Any cosmetic changes or alterations, or code errors reported outside of this time period will be subject to additional charges at our standard commercial rates of $75 per hour or part thereof. 50% upfront payment is required for static website design services, with the balance required after completion of production. The completed project will be published to your Server and an invoice will be raised at the end of the month. If unpaid after fifteen(15) days, Dynamic Web Solutions Pty Ltd reserves the right to remove the site. While providing assistance in the obtaining of a merchant facility, Dynamic Web Solutions Pty Ltd provides no guarantees that a bank will provide a merchant facility for your online store. While providing assistance in starting an accounts at a payment aggregator such as Paypal, Dynamic Web Solutions Pty Ltd provides no guarantees that the service is fit for purpose. Nor does Dynamic Web Solutions Pty Ltd have any control over the aggregators fee structures or site policies. Whilst we will try to utilise your monthly advertising budget, we do not warrant that this will always be possible, and in the event of a shortfall in the use of your monthly advertising budget in any one month, you agree to our increasing future monthly budgets to compensate. You will not be entitled to any refund of any partially spent monthly budgets, nor will you be entitled to offset any partially spent monthly budgets against future payments owing to us. On termination of this agreement we shall be entitled immediately to block your Web Site and to remove all data located on it. We will hold such data for a period of 14 days and allow you to collect it, at your expense ($150/hr), failing which we shall be entitled to delete all such data. We shall further be entitled to post such notice in respect of the non-availability of your Web Site as we think fit. If you wish to terminate your account with Dynamic Web Solutions Pty Ltd, you must do so in a written email to webmaster@dynamicwebs.com.au selecting a read receipt before sending, otherwise your account will be automatically renewed for the same subscription period and you will be liable for, and immediately invoiced upon the commencement of, such additional subscription period. Specifically, Dynamic Web Solutions Pty Ltd will not accept verbal instructions to terminate an account. On receipt of your cancellation request, Dynamic Web Solutions Pty Ltd will cancel your service at the first available opportunity. All charges payable by you to us for the Services shall be in accordance with the relevant scale of charges and rates published from time to time by us on our Web site and shall be due and payable within fifteen (15) days of receipt of our invoice. If you exceed our fifteen (15) days credit terms, you will be charged an $25.00 late payment fee. A revised invoice will be sent to your nominated e-mail address. The interest rate on any outstanding debts is a fixed rate of 15% per annum. In the event that this agreement constitutes a supply of goods or services to a consumer as defined in the Trade Practices Act 1974 (Cth) or any other national, State or Territory legislation (the Acts) nothing contained in this agreement excludes, restricts or modifies any condition, warranty or other obligation in relation to this agreement and the goods and you where to do so is unlawful. To the full extent permitted by law, where the benefit of any such condition, warranty or other obligation is conferred upon you pursuant to any of the Acts, our sole liability for breach of any such condition, warranty or other obligation, including any consequential loss which you may sustain or incur, shall be limited (except as otherwise specifically set forth herein) to: a. in relation to goods i. the replacement of the goods or the supply of equivalent goods or payment of the cost of replacing the goods or acquiring equivalent goods; or ii. the repair of the goods or payment of the cost of having the goods repaired; b. in relation to services i. the supplying of the services again; or ii. The payment of the cost of having the services supplied again as in each case we may elect. We may change the terms and conditions of this Agreement at any time. Details of our current terms are available at www.dynamicwebs.com.au/terms.html. These terms and conditions constitute the entire agreement between Dynamic Web Solutions Pty Ltd and you, and supersede all prior agreements, understandings and representations whether oral or written. No oral explanation or oral information given by any party shall alter the interpretation of these terms and conditions. Except as provided above, no variation may be made to the contract unless it is in writing and signed by authorised representatives of you and Dynamic Web Solutions Pty Ltd. In addition to general Account, Billing and Service communications, Dynamic Web Solutions Pty Ltd will, from time to time, issue email notifications relating to our services, including, but not limited to Newsletters, Announcements, Promotional and Seasonal offers, and Surveys. 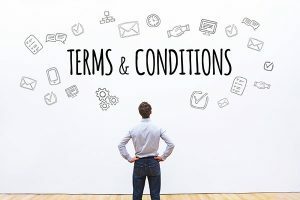 By entering into agreement with these terms and conditions, you agree to receive email communications by inferred consent until such time as you decide to opt-out of such communications. You may opt out of our mailing list at any time by sending an email to webmaster@dynamicwebs.com.au. You will not be able to opt-out of Critical Service Notifications, Renewal, Billing and Account Notifications, Scheduled Downtime Notifications or any other communications deemed to be an essential part of our service to you.